OS1p Ultra-Compact Chlorophyll Fluorometer - Raya Scientific Co. 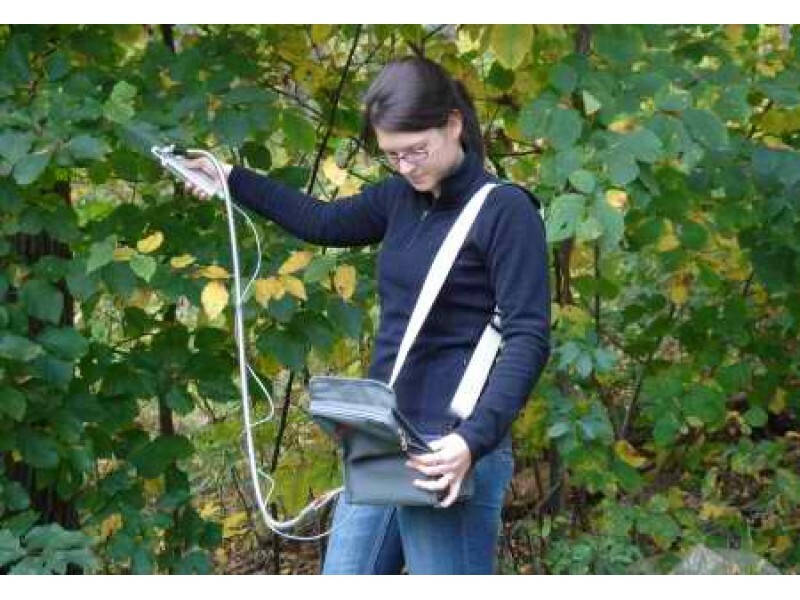 This latest Chlorophyll Fluorometer reinforces ADC’s reputation for specialising in portable research instruments. The OS1p weighs just 1.4kg and is powered by batteries which offer up to 12 hours of use from a single charge. These advantages make the OS1p ideal for prolonged research over many samples, or where the instrument must be carried between distant field sites. The instrument is operated from the large, colour touch-screendisplay, making operation pleasant and intuitive. Ease of use is further enhanced by the improved graph presentation and the well thought out menu structure. The OS1p employs the proven pulse modulation fluorescence technique, allowing a wide variety of plant stress tests to be performed. These tests include both ambient light and dark adapted experiments, such as the measurement of Fv/Fm, quenching relaxation, and rapid light curves. By investigating these parameters, Chlorophyll Fluorescence is suitable for research into the influence drought, cold, heat, salinity, soil mineral deficiency and soil mineral toxicity.